ON20 offers several private dining options designed with our guests in mind: medium-sized and larger private rooms equipped with wireless access as well as several other amenities. 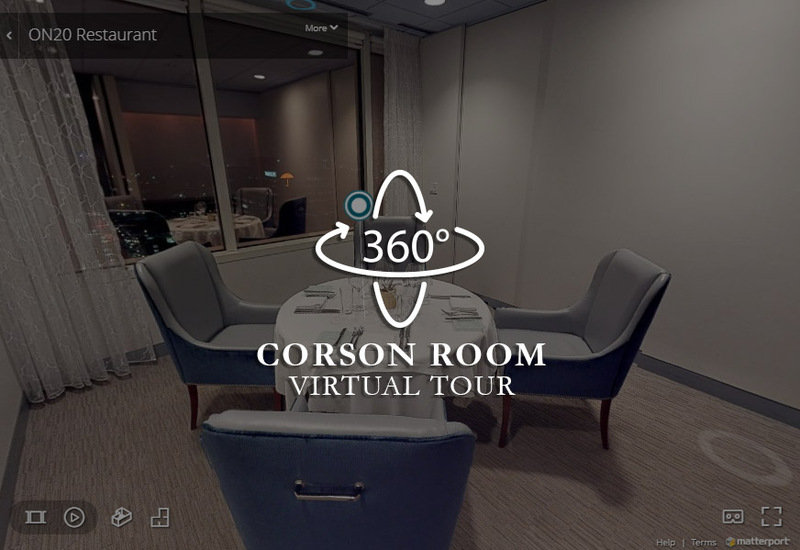 The Corson Room can accommodate up to five guests for a seated event at a round table and overlooks the Connecticut River and Downtown Hartford. 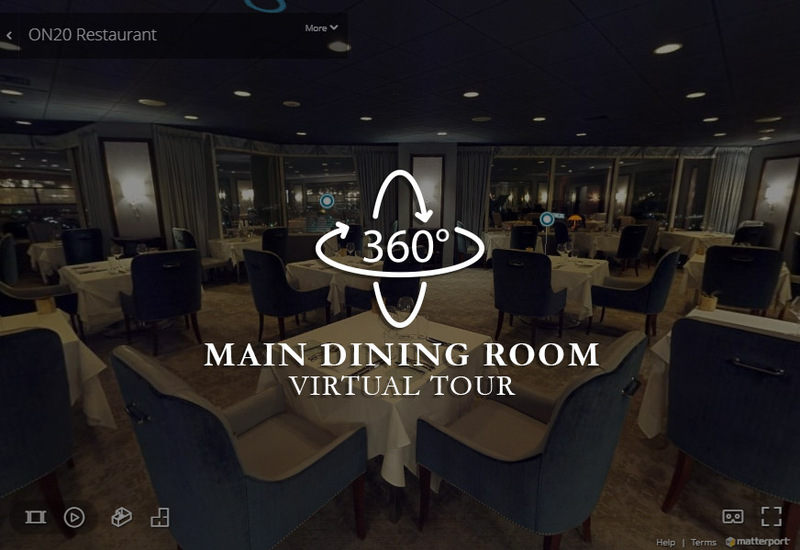 Please click on the image below to launch a virtual tour and use your mouse or keyboard arrow keys to navigate. Click in the direction you’d like to travel and enjoy! 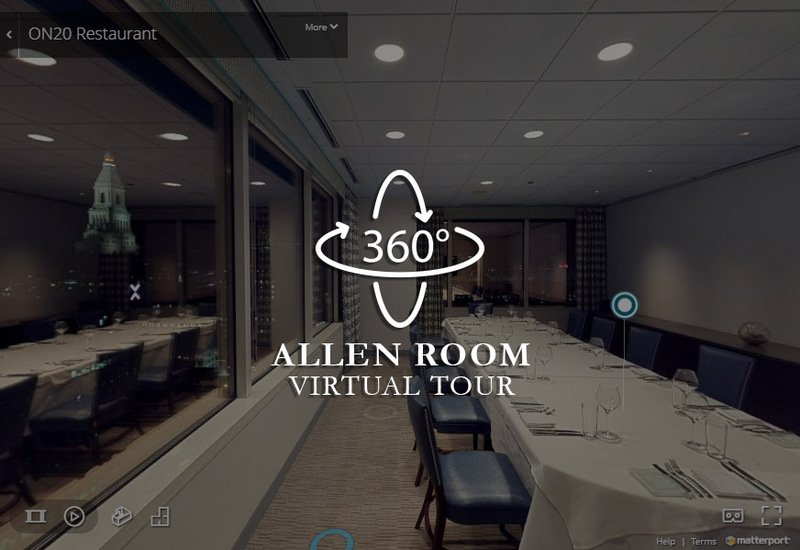 The Allen Room can accommodate up to 18 guests for a seated event, overlooking the Hartford skyline and Connecticut River. The room has a conference style table and a 60 inch TV with a wireless connection. The Brainerd room can accommodate up to 50 guests for a seated event. The room has a 90 inch TV with a wireless connection. The Brainerd room overlooks the Connecticut River and State House Square. 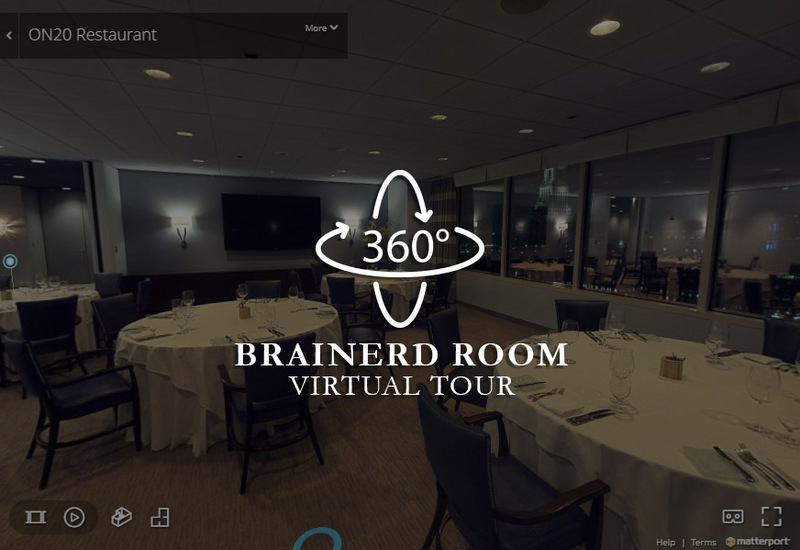 The Main Dining room can accommodate up to 80 guests for a seated event with a panoramic view of Downtown Hartford and the Connecticut River.